Forgive me if I don’t get all too excited about Halloween. No, I’m not going to give you candy if you knock at my door in the middle of the night and, no, I’m not going to scream when Kirk turns up at the PCGamesN offices wearing a Britney Spears mask again. To be honest, he looks scarier without it. Give yourself a treat by running through the best FPS games on PC here. Team Fortress 2 players, however, tend to get into the festivities a little more enthusiastically than me. 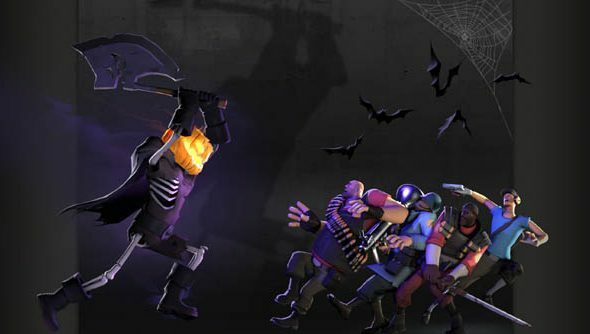 That’s why Valve is once again set to host Scream Fortress – the annual event that makes the world of TF2 just that little bit more spooky than usual. I’ve no idea what that means either, but it sounds suitably festive. Valve has also confirmed that “all unusual cosmetics that you unbox from any case or crate will have a Halloween 2016 unusual effect” throughout the course of the event. Also, it claims the chances of receiving an unusual cosmetic across all cases, even old ones, will be doubled. Blimey, such generosity. It almost feels like Christmas. No date has been given for the event, but with Halloween little over a week away it’s sure to be soon.